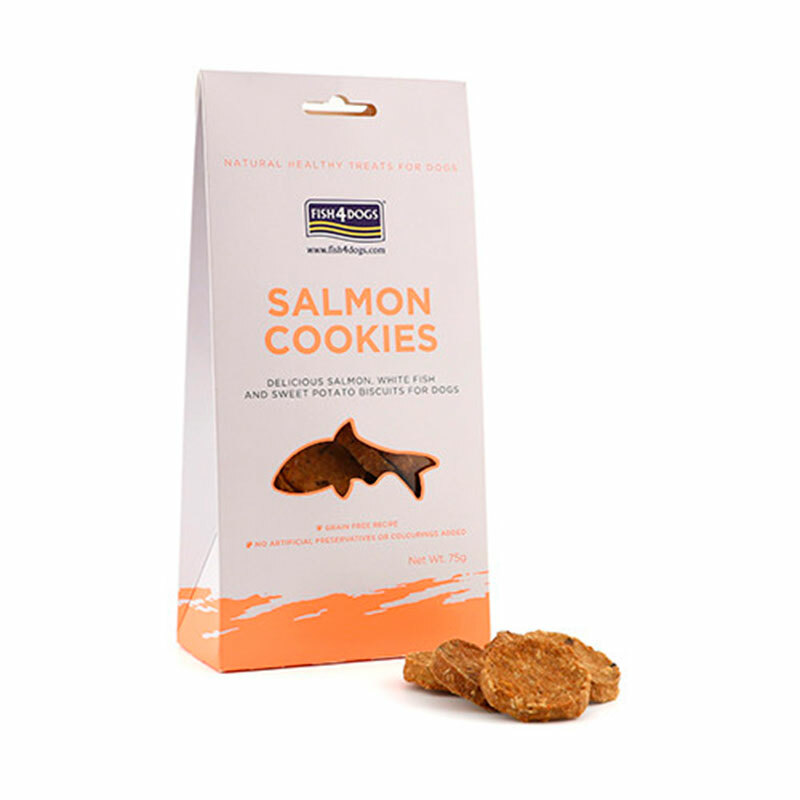 Delights based on salmon, white fish and sweet potato. Cookies without grain or cereals, they do not contain preservatives or artificial colors and are low in calories. Composition: Salmon 50%, White fish 39%, Sweet potato 7%, Starch potato, Fiber potato. Additives (per kg): Antioxidants (stabilized with rosemary and extracts rich in tocopherol) 1.5 gr. Analytical components: crude protein 36%, crude oils and fat 30%, crude fibers 6.5%, crude ash 12.5%.